tania mc cartney | Educate.Empower. Have you ever wondered what it would be like to look at a starry sky without a single sound around him? Or looked at a wildflower and not known the name? Perhaps you’ve only ever visited the big cities and never explored further afoot. 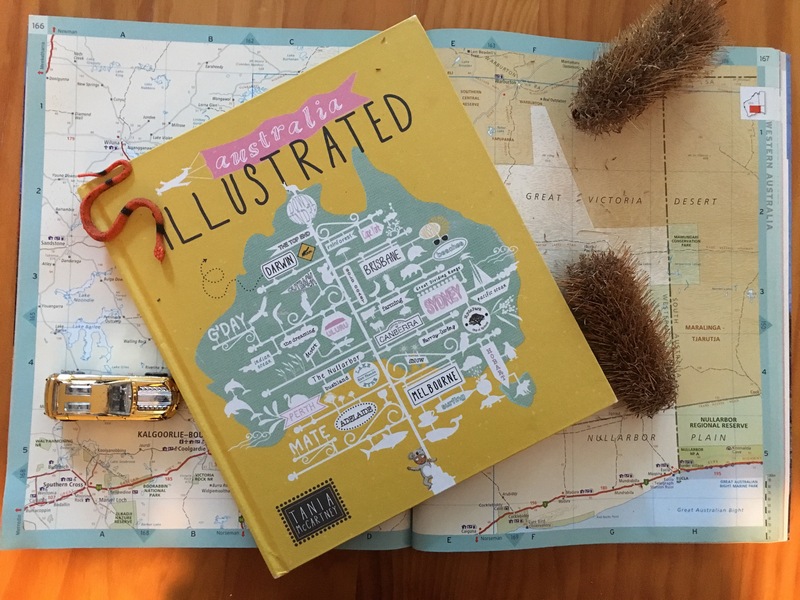 Well, look no further, Australia, Illustrated by Tania McCartney is an amazingly illustrated picture book which explores many different aspects of the Australian landscape. Australia has such a diverse landscape and this book captures so many of the hidden gems that each state has to offer. As the reader explores each state they learn about famous Australians, the type of weather and the iconic buildings. We also explore the endangered and endemic animals, local food and hidden bush tracks. As we read through this story I was able to talk about the different places I had visited and places we would love to go. We were also able to wonder about how people feel about living in different parts of Australia and what those children might get up to on the weekend. Australia Illustrated by Tania McCartney is a book that you can read little by little or in one sitting. It is also a great book that you can return to again and again as there is so much to discover on each page. Tania McCartney is a superb illustrator and if you can’t be inspired to take a trip around this great big land, then perhaps no book can convince you! – Check out a map of Australia and see where Tania has illustrated. – Look at the large map of Australia and each state and read the different towns and cities that make up the illustration. Choose one or two to find out more about. – What has Tania McCartney drawn to make each state unique? Do you agree with this? – Could you create a book like this about another country? Why do we need poetry? This week, on Tuesday 21st March, the world celebrated World Poetry Day! So why do we need poetry? Poetry teaches rhythm, rhyme, beat and space. Many poems rhyme or have some sort of beat to them. By reading poetry to each other we incidentally learn how to speak to a beat with feeling. Poems are written to be read out loud. When we read out loud we learn to pronounce words with more feeling. When we listen to poetry being read out loud we can feel the words and the feelings that the poet has put into the prose. Poetry can bring about many different feelings in a short amount of reading or listening time. Poems can make us laugh, cry, move about, remember, cringe and even feel scared! Poetry is another form of literature that can allow reluctant readers or slower readers to feel a sense of achievement and enjoyment. Poetry incites creativity in many different forms. Many children struggle in the creative realm but through reading poems we are able to escape into a creative landscape and be inspired to create our own. We all have access to so many wonderful poetry books some are picture books, pure anthologies, disgusting poems, laugh out loud poems and the classics. See what you can find and share it with someone!